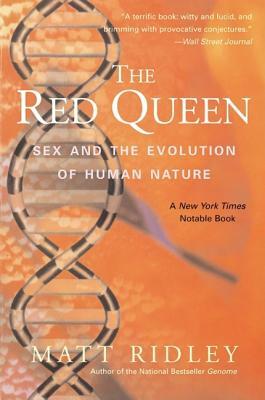 Armed with extraordinary new discoveries about our genes, acclaimed science writer Matt Ridley turns his attention to the nature-versus-nurture debate in a thoughtful book about the roots of human behavior. Ridley recounts the hundred years' war between the partisans of nature and nurture to explain how this paradoxical creature, the human being, can be simultaneously free-willed and motivated by instinct and culture. With the decoding of the human genome, we now know that genes not only predetermine the broad structure of the brain, they also absorb formative experiences, react to social cues, and even run memory. They are consequences as well as causes of the will. This is the story of the man without whom the name Charles Darwin might be unknown to us today. That man was Captain Robert FitzRoy, who invited the 22-year-old Darwin to be his companion on board the Beagle . This is the remarkable story of how a misguided decision by Robert FitzRoy, captain of HMS Beagle, precipitated his employment of a young naturalist named Charles Darwin, and how the clash between FitzRoy's fundamentalist views and Darwin's discoveries led to FitzRoy's descent into the abyss. One of the great ironies of history is that the famous journey--wherein Charles Darwin consolidated the earth-rattling 'origin of the species' discoveries--was conceived by another man: Robert FitzRoy. It was FitzRoy who chose Darwin for the journey--not because of Darwin's scientific expertise, but because he seemed a suitable companion to help FitzRoy fight back the mental illness that had plagued his family for generations. Darwin did not give FitzRoy solace; indeed, the clash between the two men's opposing views, together with the ramifications of Darwin's revelations, provided FitzRoy with the final unendurable torment that forced him to end his own life. 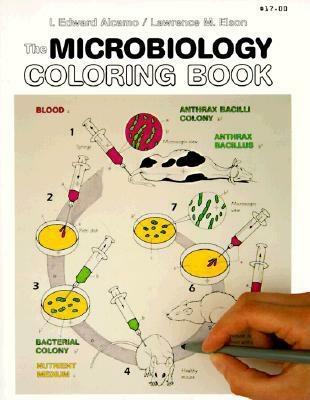 This microbiology atlas asks the reader to colour a series of figures that convey microbiological principles. It reviews all areas pertinent to a microbiology course in a concentrated format. The universe has many secrets. It may hide additional dimensions of space other than the familier three we recognize. There might even be another universe adjacent to ours, invisible and unattainable . . . for now. Warped Passages is a brilliantly readable and altogether exhilarating journey that tracks the arc of discovery from early twentieth-century physics to the razor's edge of modern scientific theory. One of the world's leading theoretical physicists, Lisa Randall provides astonishing scientific possibilities that, until recently, were restricted to the realm of science fiction. Unraveling the twisted threads of the most current debates on relativity, quantum mechanics, and gravity, she explores some of the most fundamental questions posed by Nature—taking us into the warped, hidden dimensions underpinning the universe we live in, demystifying the science of the myriad worlds that may exist just beyond our own. 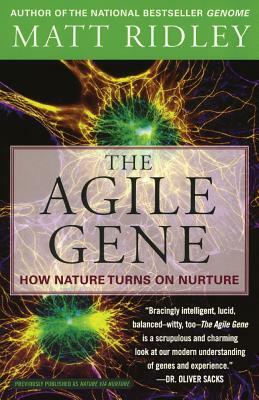 This profound and accessible book details how science is studying nature's best ideas to solve our toughest 21st-century problems. If chaos theory transformed our view of the universe, biomimicry is transforming our life on Earth. 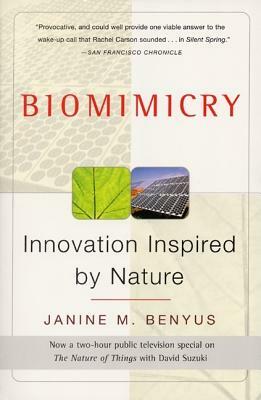 Biomimicry is innovation inspired by nature - taking advantage of evolution's 3.8 billion years of R&D since the first bacteria. Biomimics study nature's best ideas: photosynthesis, brain power, and shells - and adapt them for human use. They are revolutionising how we invent, compute, heal ourselves, harness energy, repair the environment, and feed the world. Science writer and lecturer Janine Benyus names and explains this phenomenon. She takes us into the lab and out in the field with cutting-edge researchers as they stir vats of proteins to unleash their computing power; analyse how electrons zipping around a leaf cell convert sunlight into fuel in trillionths of a second; discover miracle drugs by watching what chimps eat when they're sick; study the hardy prairie as a model for low-maintenance agriculture; and more. In this fast-paced, sure-to-astonish scientific adventure, a Pulitzer Prize-winning popular science writer asks, Has the long-sought secret of eternal youth at last been found? From the author of the acclaimed "Coming of Age in the Milky Way" comes a brilliant chronicle of how science sparked the spread of liberal democracy across the modern world. 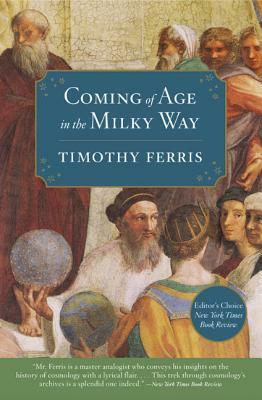 In his most powerful book to date, award-winning author TimothyFerris makes a passionate case for scienceas the inspiration behind the rise of liberalismand democracy. Ferris showshow science was integral to the AmericanRevolution but misinterpreted inthe French Revolution; reflects on thehistory of liberalism, stressing its widelyunderestimated and mutually beneficialrelationship with science; and surveysthe forces that have opposed scienceand liberalism--from communism andfascism to postmodernism and Islamicfundamentalism. A sweeping intellectualhistory, The Science of Liberty is a stunninglyoriginal work that transcends theantiquated concepts of left and right. More than one hundred of the world's leading thinkers write about things they believe in, despite the absence of concrete proof Scientific theory, more often than not, is born of bold assumption, disparate bits of unconnected evidence, and educated leaps of faith. Some of the most potent beliefs among brilliant minds are based on supposition alone -- yet that is enough to push those minds toward making the theory viable. Eminent cultural impresario, editor, and publisher of Edge (www.edge.org), John Brockman asked a group of leading scientists and thinkers to answer the question: What do you believe to be true even though you cannot prove it? This book brings together the very best answers from the most distinguished contributors. Thought-provoking and hugely compelling, this collection of bite-size thought-experiments is a fascinating insight into the instinctive beliefs of some of the most brilliant minds today. What should we teach our children about where we come from? Is evolution a lie or good science? Is it incompatible with faith? Have scientists really detected evidence of a creator in nature? From bestselling, Pulitzer Prize-winning author Edward Humes comes a dramatic story of faith, science, and courage unlike any since the famous Scopes Monkey Trial. Monkey Girl takes you behind the scenes of the recent war on evolution in Dover, Pennsylvania, when the town's school board decision to confront the controversy head-on thrust its students, then the entire community, onto the front lines of America's culture wars. Told from the perspectives of all sides of the battle, it is a riveting true story about an epic court case on the teaching of "intelligent design," and what happens when science and religion collide.